This is a picture of our little Princess Mia. She came to us as a puppy that some vets believed did not have a chance at life. Rick and I along with our vet disagreed. Mia had mega-esophagus. This means that her esophagus had an area that lacked muscle control. It was explained to me as a “balloon” in her throat that had been expanded too many times. The muscles were not functioning correctly to allow her food to pass down to her stomach. So Mia ate a very liquid diet and needed to be held upright for 20-30 minutes after each meal. 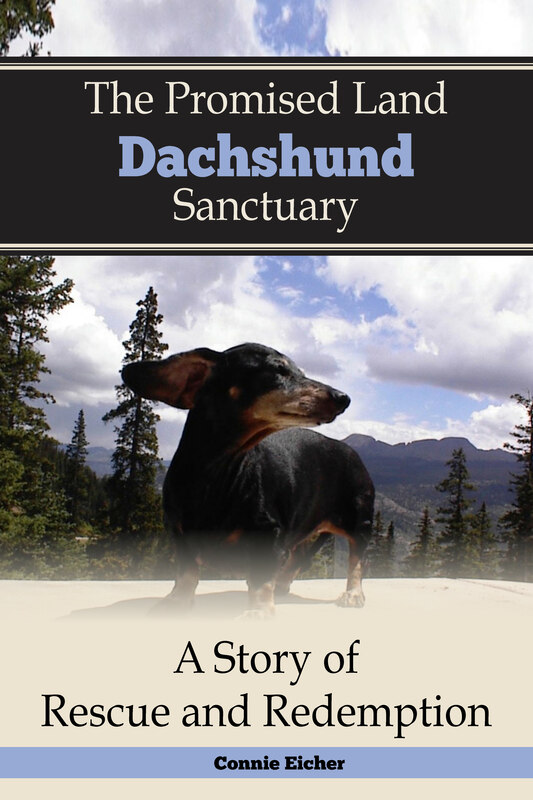 When she came to The Promised Land Dachshund Sanctuary, we already had over 30 special needs and seniors Dachshunds to care for. So we found this harness to allow me to carry her upright while I fed the other dogs. Mia had a wonderful life. She had lots of wonderful friends, and we spoiled her rotten. She lived to be 8 years old. We lost her to kidney disease. Her 8 years was 7 1/2 years longer than her first vet predicted she would have. NEVER GIVE UP ON LIFE! !